When Xiaomi first introduce the Mi Mix in 2016. It wasn’t like any other smartphone we had seen all display, all screen. The Mi Mix was supposed to represent the future, and quite literally push the boundaries of phones. 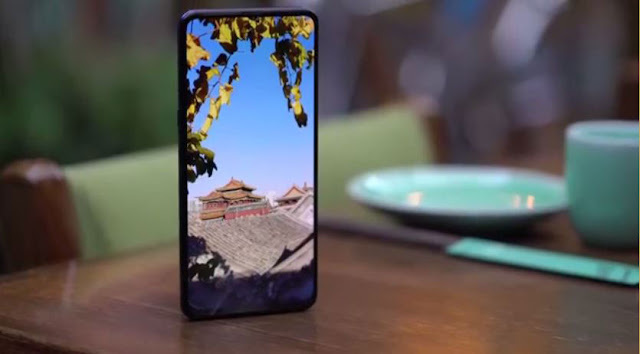 As we know that not long thereafter others followed suit each with a different approach this kind of notch, that kind of notch, no notch, pop up camera and slide up camera. It’s 2018 and Xiaomi takes a bold step into the future with this Mi Mix 3 Smartphone phone. So lets get started with the review of Xiaomi Mi Mix 3 Review. The first three attempts Xiaomi approach to borderless design involved moving the selfie camera down side which meant the phones upper half looked pretty good while its bottom half not so much. With a front camera of the previous models, that was both awkward and impractical. Four iterations later, however, and Xiaomi fully embraces full borderless by hiding the camera completely. 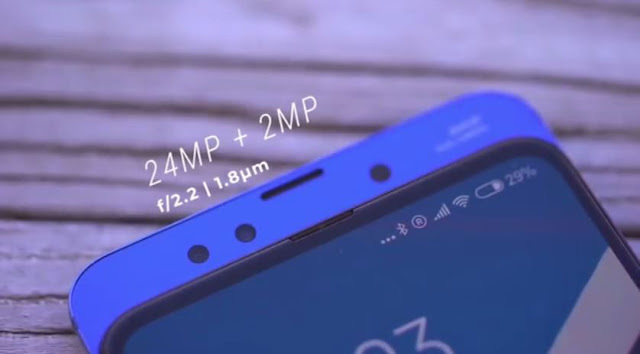 This gives the phone 93.4% screen to body ratio and it brings users closer to Xioami original vision for the phone, computing on a single slab of glass, no matter which way you look at it. There’s no denying that a notch-less all display phone is gorgeous. But while this solution solves one problem does it create another, the front camera system on the Mi max 3 is tucked away behind the top of screen. 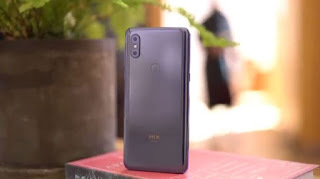 By sliding the display down to bring the camera up, similar to Oppo Find X, launched earlier this year 2018, which uses the motorized mechanism for activating the front camera. But in the Mi Mix 3, the sliding mechanism employs magnets for a bit of resistance and snap. Xiaomi says this design is more durable. It’s pretty satisfying. And Xiaomi CEO Lei Jun says it can double as a fidget spinner. So by calculating math, if you’re planning to use this phone for say three years, then you get about 275 snaps per day. Apart from looking good Xiaomi says they chosen this sliding mechanism for factor with photography in mind, so it makes sense that the phone comes with pretty good cameras. All in all you get four cameras, 2 cameras on it back and 2 up in front (24+24 MP). It’s dual 12+12 MP rear cameras are arranged vertically on the phones back and not built into the slider. These cameras are highly rated on DxOMark. A subjective but still a pretty good measure of smartphone camera performance. 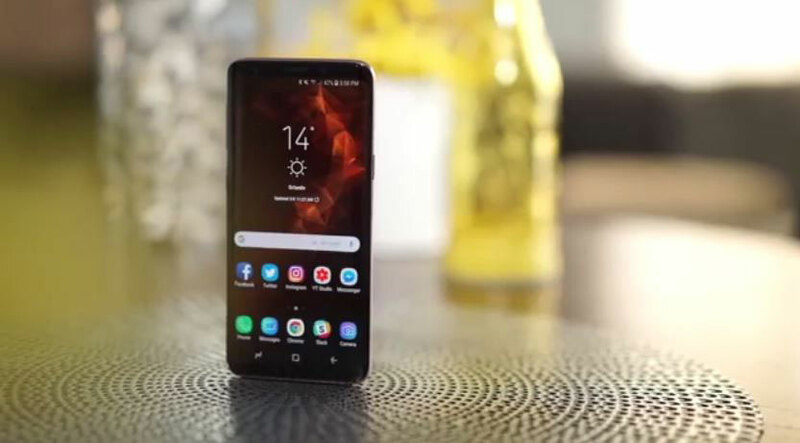 The phone is now the third highest rank smartphone camera tied with a Samsung Galaxy Note 9 and one point above the Huawei P20 pro. Some new features include night mode, which works similarly to handheld long exposure night shots that are available on the Huawei Mate 20 and P20 series. Upfront the Mi mix 3 has a 24 megapixel selfie camera with a second camera to assist with portrait blur. This enables some fun portrait features that you can add after the fact like adjusting background blur, adding light trails and studio lighting effects. The front cameras also double as a face unlock system, once set up you just slide the display down and the phone and unlocks. There’s also a fingerprint sensor in the usual place at the back of the phone and lot of times are fast like just like its predecessors. The Mi Mix 3 is a handsome phone with the right amount of curves and a ceramic finish. It looks good from any angle. Apart from the usual black, it comes into extra colors sapphire blue, and really interesting shade called Jade green. A dual 4G nano SIM card slot slides out of the left hand side, but there’s no expandable memory appear (in china). When you slide the display down, you’ll find a set of speakers underneath. Bottom firing speakers and a USB-C port are down below. Here are the Mi Mix 3 specifications. Let’s talk about it screen first. After all, this is the essence of this phone. The AMOLED display draws your attention, colors are vibrant, text is crisp and viewing angles are great. Although just like any of these phones with this taller aspect ratio videos aren’t designed to fill the entire screen, kind of defeating the purpose of immersive entertainment. So when you’re watching YouTube, for example, you can pinch to fill the screen. But expect some content to be cropped out of the screen. Mi mix 3 runs on Qualcomm’s top of the line system on a chip in our time with the phone, everything felt quick and snappy. And games like PUBG were set to best by default, and can be pumped up to ultra without any noticeable lag. The phone will come in different configurations starting with a 6 GB RAM+ 128 GB storage and 8 GB + 256 GB model. Powering the devices, a 3200 mAh battery, not the biggest we’ve seen this year. And to be honest, for a heavy user… probably not enough in the day. Like its predecessor, the phone supports wireless charging, but even better news they include a wireless charger in the box. One thing I will tell you is that it’s an interesting piece of tech still with bits and pieces of that future. Xiaomi envision this phone to represent this lighting camera is a novel idea, but I’m still curious to see if that idea will stick or if other brands can come up with even better solutions. Xiaomi is also promising that European versions of the Mi mix 3 will have 5g network connectivity built in sometime in early 2019. It would have been nice to have seen water resistance and a bigger longer lasting battery. But at $475 the same price as last year’s model. This phone is definitely worth considering if it’s available in your country.